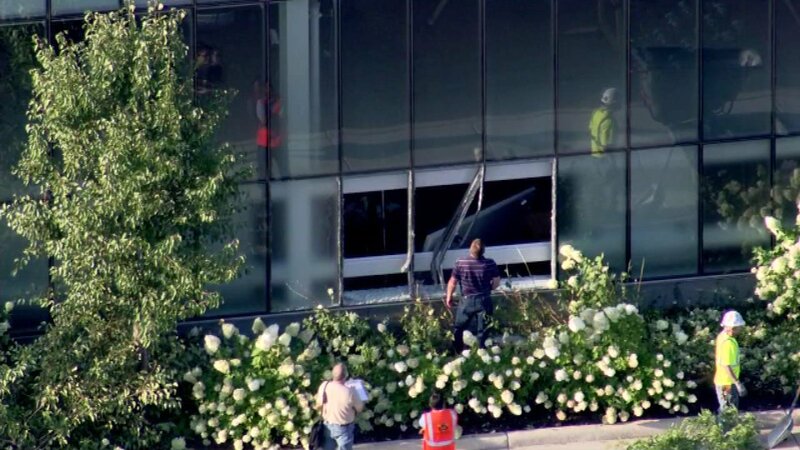 CHICAGO (WLS) -- A car that was involved in a crash with another vehicle Friday morning went into the Chicago Bulls training facility on the city's West Side, across from the United Center. The driver of the car that crashed into the Chicago Bulls Advocate Center ran a red light at the intersection of West Madison and South Wood streets around 7 a.m., police said. That car then struck another vehicle on its passenger side. The driver of the first car tried to go around the second car and went through the glass, police said. One of the drivers was transported to Stroger Hospital, where that person's condition stabilized. The other driver refused treatment. The driver of the car that went into the building was issued citations, including driving without insurance, police said.